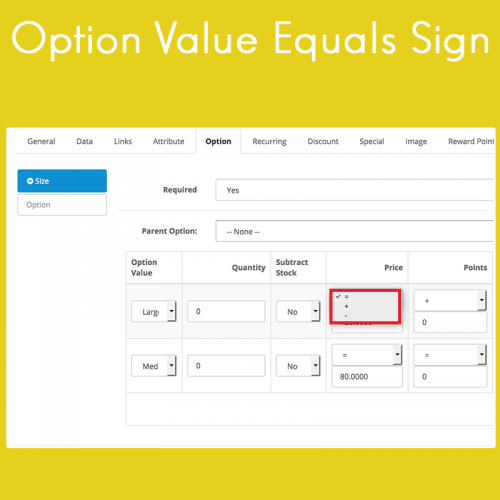 Option Value Equals Sign allows you to set an equal sign for your price, weight, and reward points for your option values. 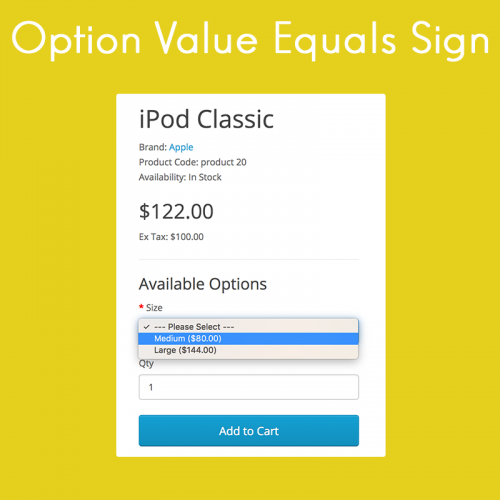 The default OpenCart option values can only have a plus and minus sign, and this modification would just be the thing you need if you want an equal sign. This extension also works with our Live Price Update extension.